After years of witnessing too many patients die from injuries that could have been prevented by a more timely first-response, Doctors Council member Dr. Melba Taylor, an emergency room physician at Harlem Hospital in New York City, had a vision. 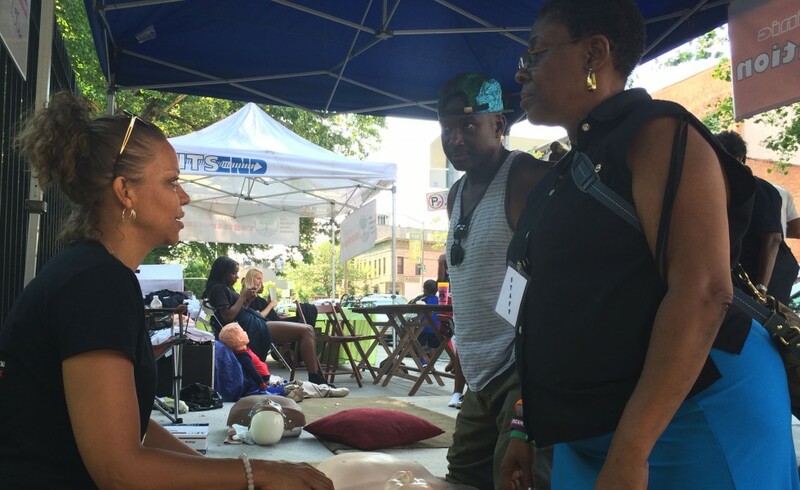 The Medical Roots Project is an independent nonprofit that Dr. Taylor started of her own initiative in her personal time to address basic health and first aid literacy in New York’s various communities. The fruits of Dr. Taylor’s idea can be seen on the sidewalks of NYC on any given Saturday and Sunday, where she and other volunteers host pop-up clinics for the public to get in touch with their ‘medical roots.’ Participants learn life-saving skills such as CPR, how to apply pressure dressings to wounds, and the beneficial properties of fruits, vegetables and herbs for common ailments. ← Could Doctor Involvement Be for Real?